On our arrival in Norwich, we made our way to the Cathedral Close to look and see if we could see the nesting Peregrines. 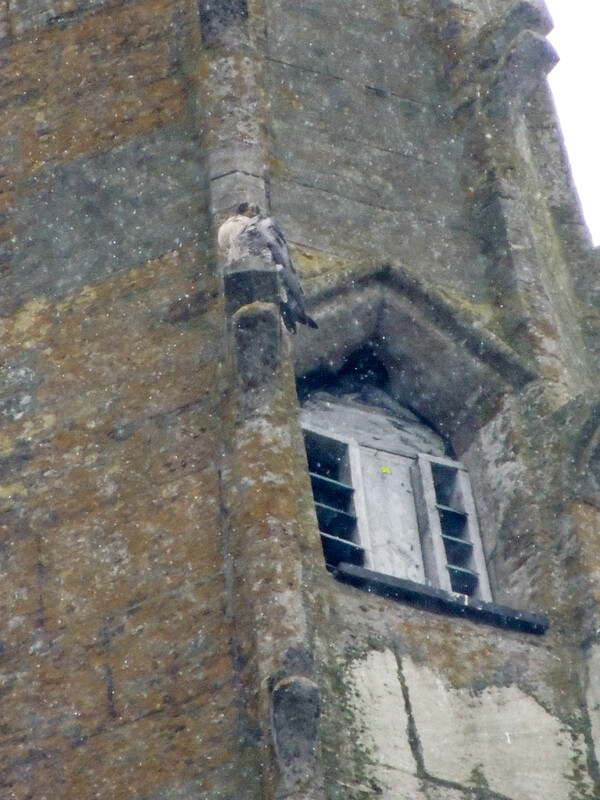 The nest is on a platform located on a window-ledge on the spire (marked with a red dot on photo). 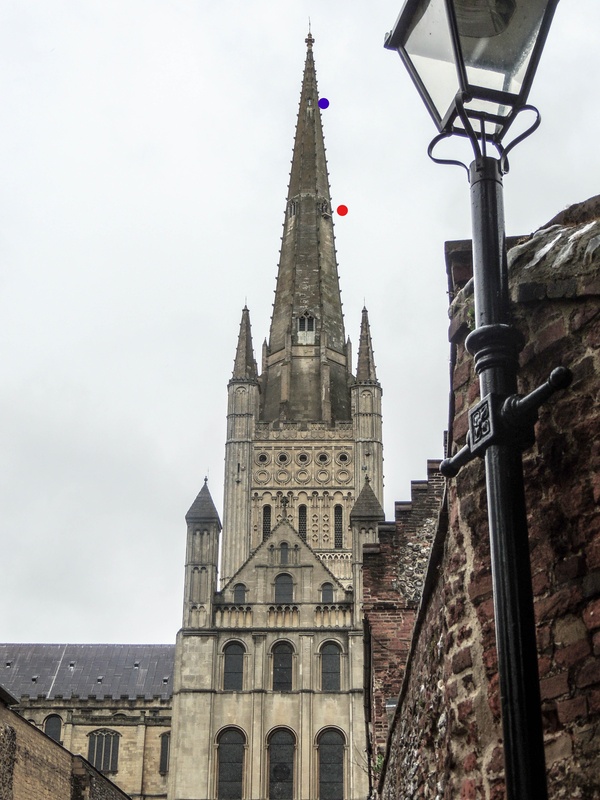 We couldn’t see the bird on the nest as she was keeping well down but eventually located her mate perched on a ledge further up the spire (marked with a blue dot on photo).